Our kit offering to honour the 25th anniversary of the Naperville/Lisle/Chicagoland RPM. Built 1-52, a 10 car order to replace cars that were destroyed in wrecks. The cars feature the ACF Carbuilder end and the ACF Corrugated roof. 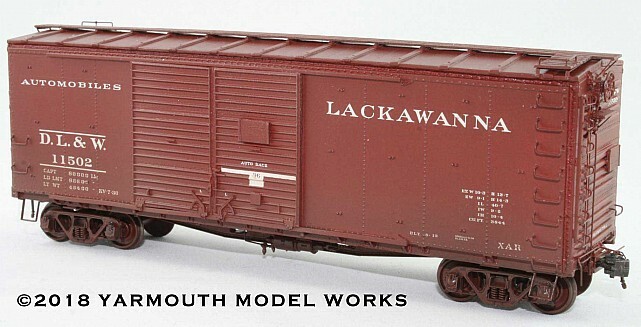 The kit features the unique oil canning effect from welded car sides, custom etchings, custom decals, photo etched running boards, Tahoe Model Works Coil-Elliptic 50-ton trucks. The patterns for this car were developed in CAD and 3D printed. Built in Jan '49. 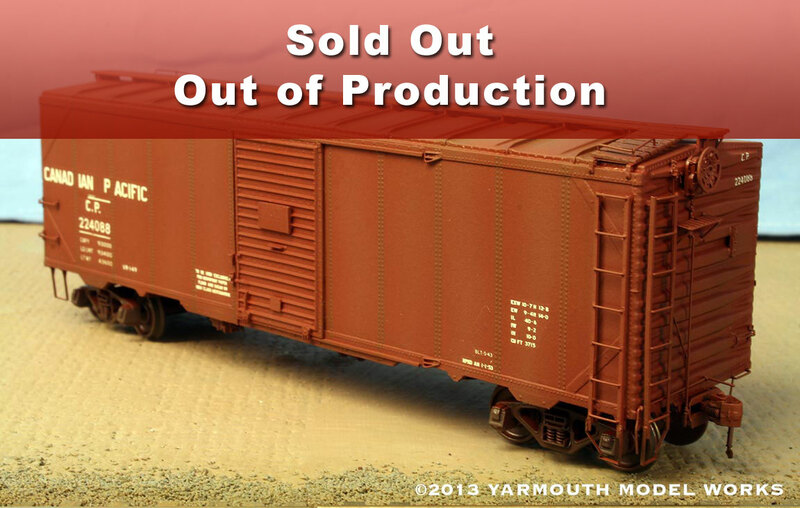 200 cars with 10'4" IH and 6' doors. The first 100 cars had Youngstown doors and the last 100 Superior doors. Car numbers for the lot modeled are actually 64500-64699. 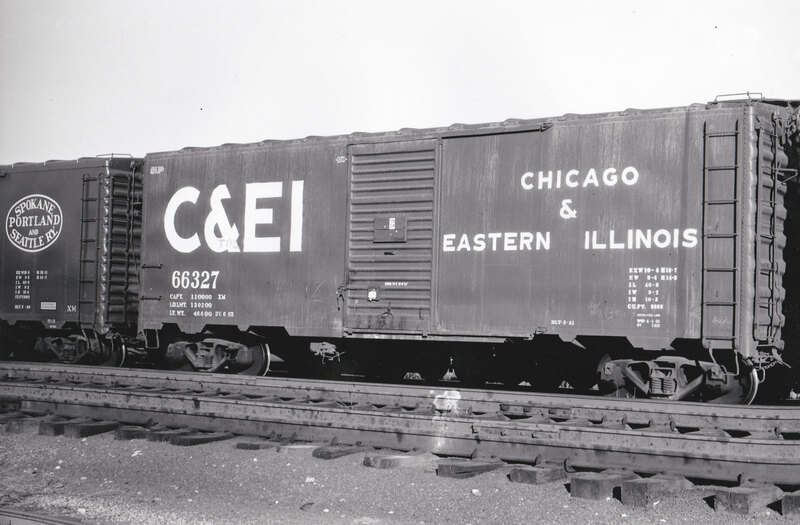 Between Aug. '35 and Sept. '37, 350 USRA DS boxcars were rebuilt by the DL&W into all-steel automobile boxcars. Youngstown sides, Hutchings Dry Lading roofs, Youngstown doors and Ajax power hand brakes were used. 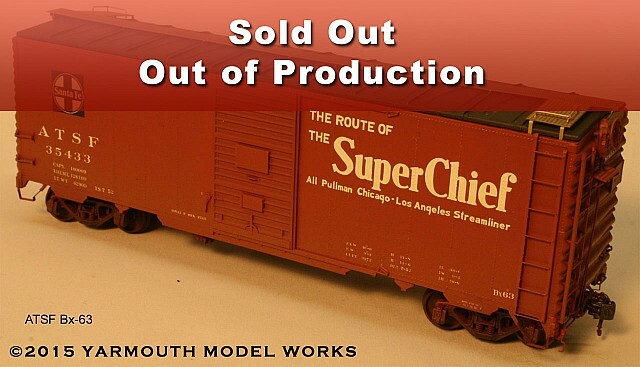 The kit features a body pattern that was fully 3D printed and includes custom etched parts, custom decals from Speedwitch Media, laser cut running board, and Tahoe Model Works trucks. 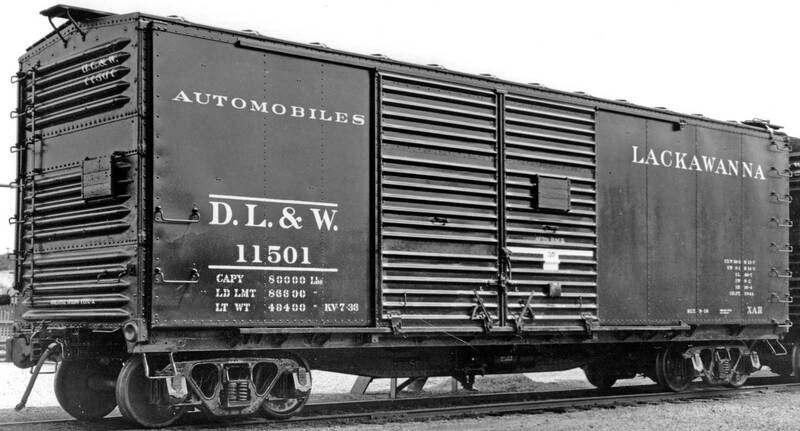 The DT&I had ACF build 300 cars for them in '48-'49, and 3 100-car lots. 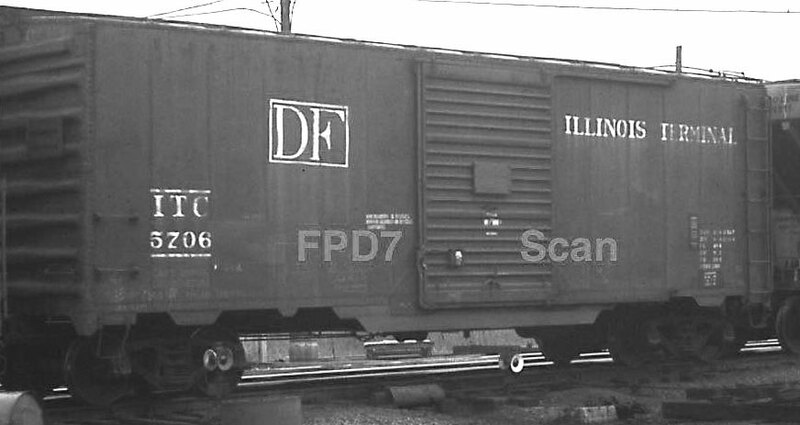 The cars had a mix of doors and roofs, but all had the unique ACF corrugated end. This kit is the first from us to feature this distinctive end. 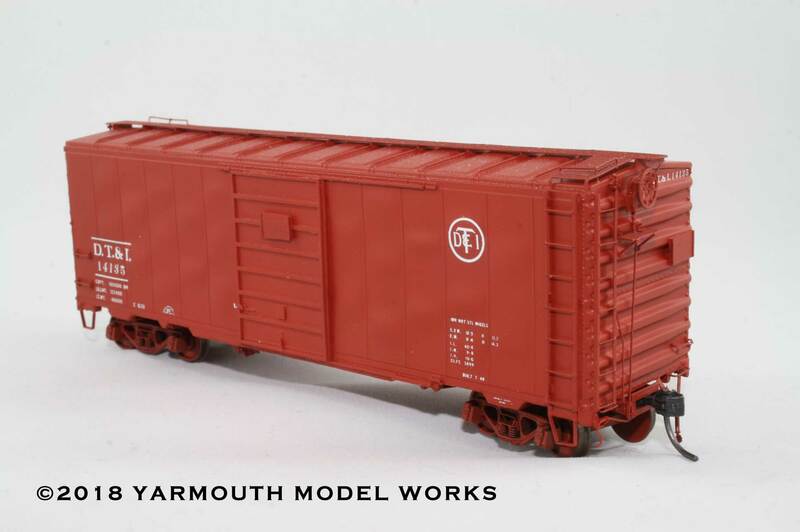 The kit features the unique oil canning effect from welded car sides, custom etchings, custom decals, photo etched running boards, Tahoe Model Works Coil-Elliptic 50-ton trucks. The patterns for this car were developed in CAD and 3d printed. The West India Fruit and Steamship Co, had 150 cars built for them in Sept 1953. They featured a 12 panel welded side, ACF Carbuilder end and ACF Carbuilder roof. 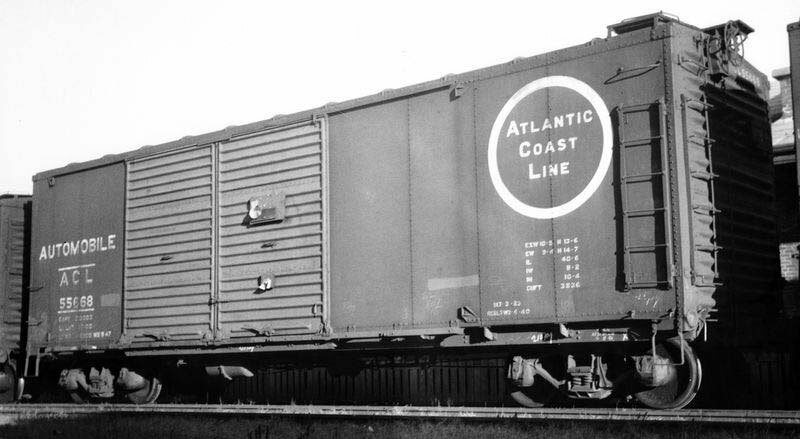 As built they were painted a boxcar red, but were repainted later in the decade to green. The kit includes decals for both colors. 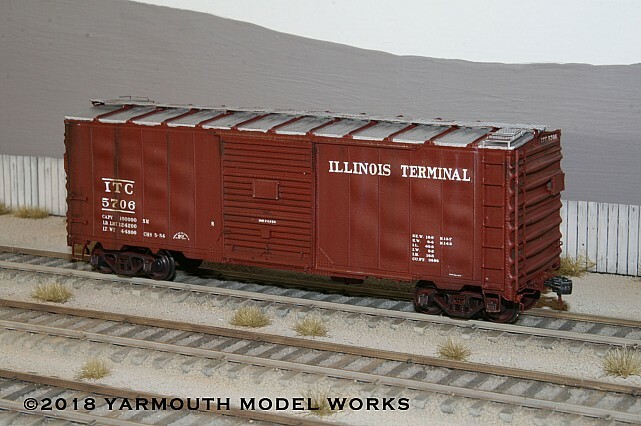 The kit features the unique oil canning effect from welded car sides, custom etchings, custom decals, photo etched running boards, Kato ASF A-3 trucks. The patterns for this car were developed in CAD and 3D printed. The kit features custom etchings, custom decals, photo etched running boards, Kato ASF A-3 trucks. The patterns for this car were developed in CAD and 3D printed. This car is one of a 500 car order built in March 1954. The car featured a 10 panel riveted side, ACF Carbuilder end and ACF Carbuilder roof. This is the first in what will be a series of boxcar kits that feature the ACF proprietary ends and/or roof. The ACL car was part of a 500 car order made in 1951. The car featured a 12 panel welded side, ACF Carbuilder end and ACF Carbuilder roof. Rebuilt in the Waycross, Georgia shops in 1940-41. The kit features a body pattern that was fully 3D printed and includes custom etched parts, custom decals, laser cut running board, and Tahoe Model Works trucks. 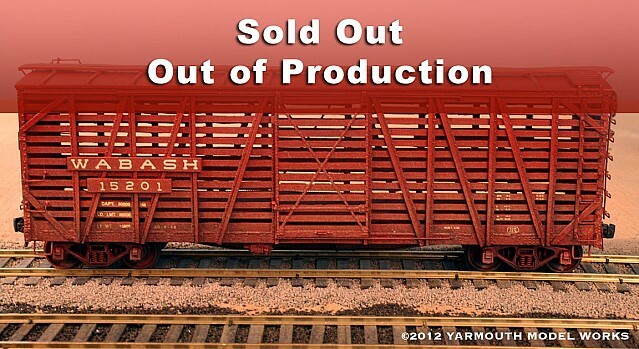 Price:: Sold out. Out of Production. 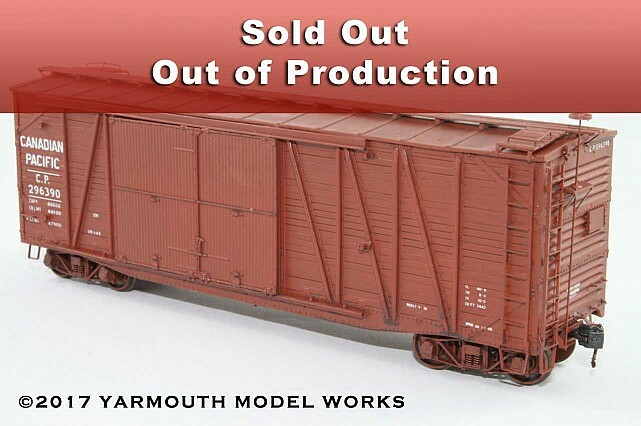 Yarmouth Model Works newest freight car kit is a Canadian Pacific 40’ single sheathed automobile boxcar. The kit is the first in our product line to have the pattern fully developed in CAD and 3D printed. 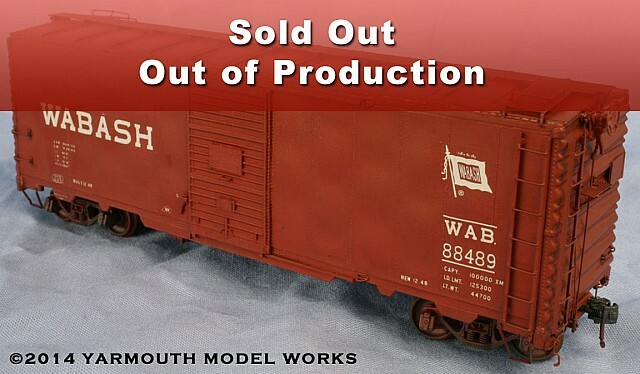 The kit features a one piece cast resin body casting, a laser cut running board, photoetched ladders and other details, Tahoe Model Works arch bar trucks and custom decals from Black Cat Publishing. The kit is designed in such a manner to allow the modeler to build this car with one of three different door sizes. The kit inspired by a decal set. Speedwitch Media has offered a beautiful decal set for this car for years. We felt that the decal set warranted a model just as good. So we offer this model. The kit features a properly located lower door track on a one piece body. The custom decal set from Speedwitch Media, a laser cut running board, new etched details and custom 15" rung spacing ladders. 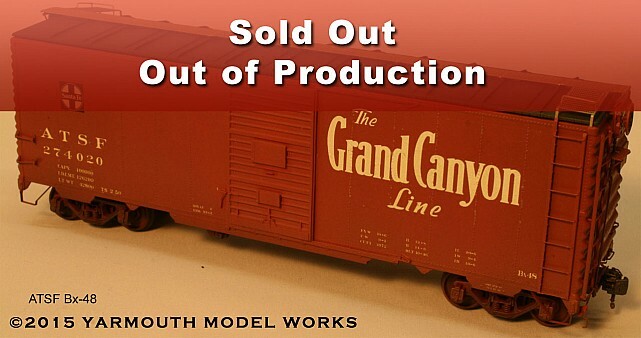 The kit also includes a set of Tahoe Model Works trucks. 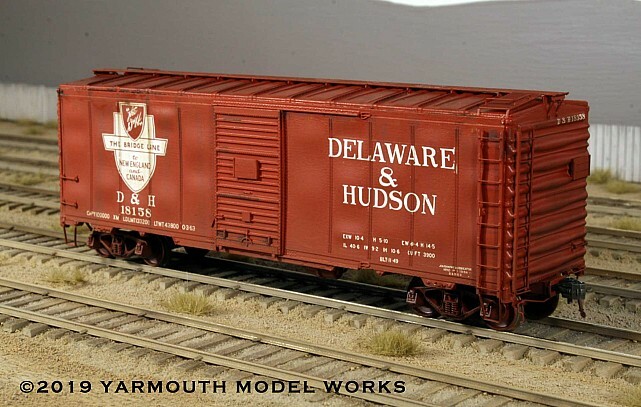 This kit presents this car in a level of detail never before offered in HO scale. A cast resin one piece body with a separate roof to facilitate painting. All new etched metal running boards. Custom etched detail parts and special etched ladders with etched rungs. Custom printed decals from Speedwitch Media. The kit also includes a set of Kato ASF A-3 trucks. The kit is offered in 3 versions. 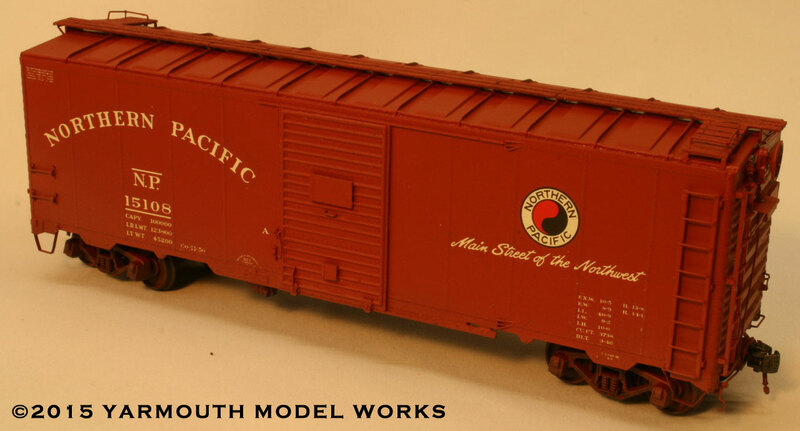 This mini-kit will refit the Intermountain covered hopper kit to recreate the over 950 cars built in this style by AC&F. 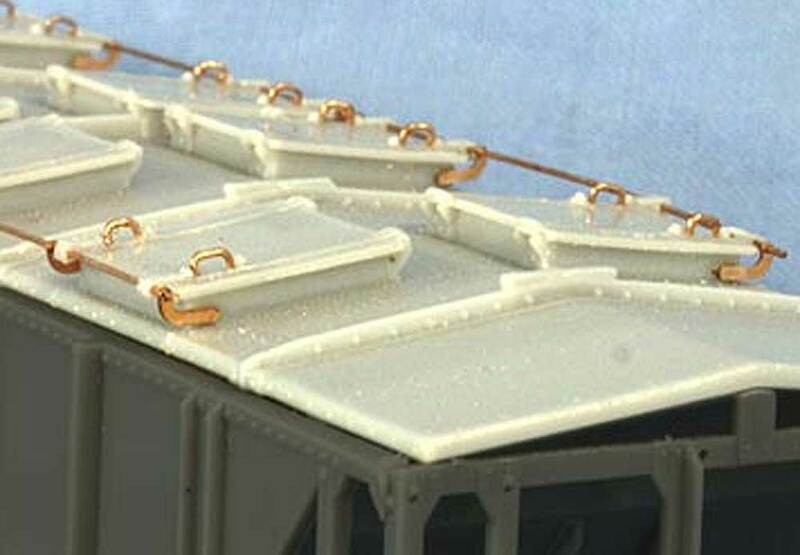 The kit includes a roof, hatches, hatch hold-downs, etched rod supports and wire. Kit #103 is for roof only. Covered hopper not included. Click for larger image. 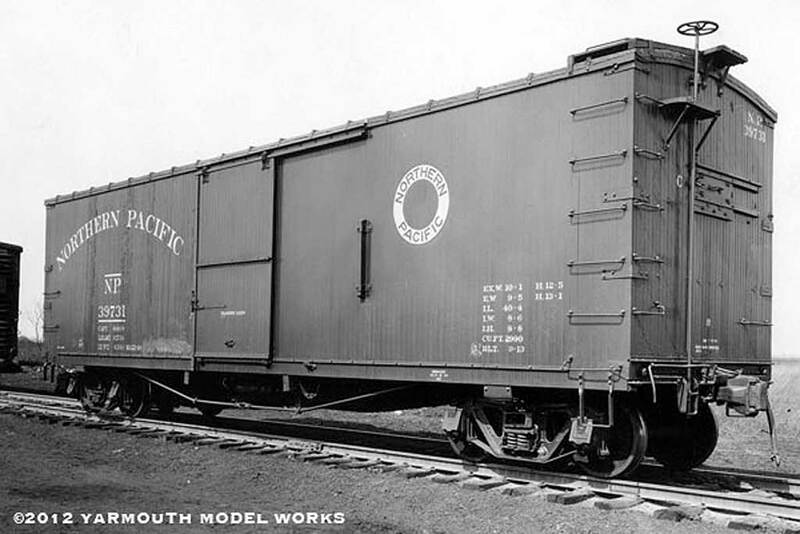 Between 1912 and 1914, the Northern Pacific acquired 4000, double sheathed wood box car with an 80,000 lb capacity. 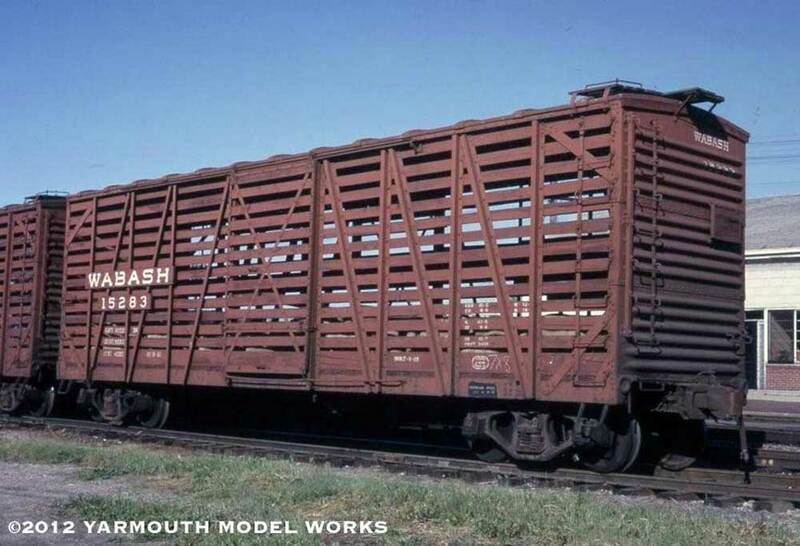 The cars were placed in the 21500-23999 and 39500-40999 number series, and had a deep fish belly under frame and a single truss rod along each side. 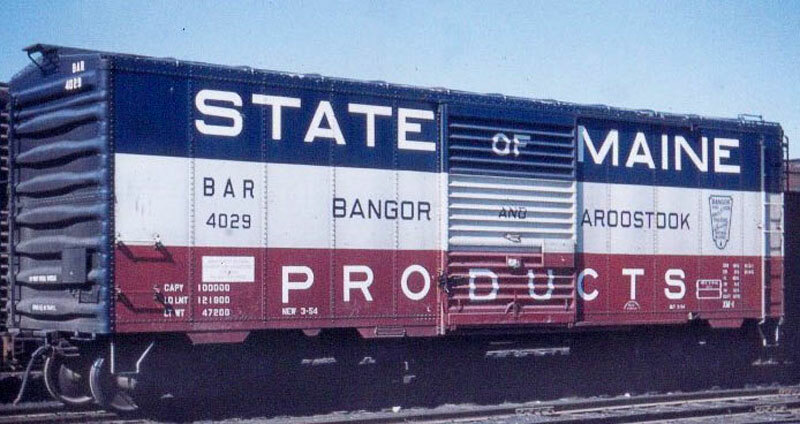 As was NP practice during this period, the cars had the signature "outside circular" radial roof and unique L-section Andrew's trucks. 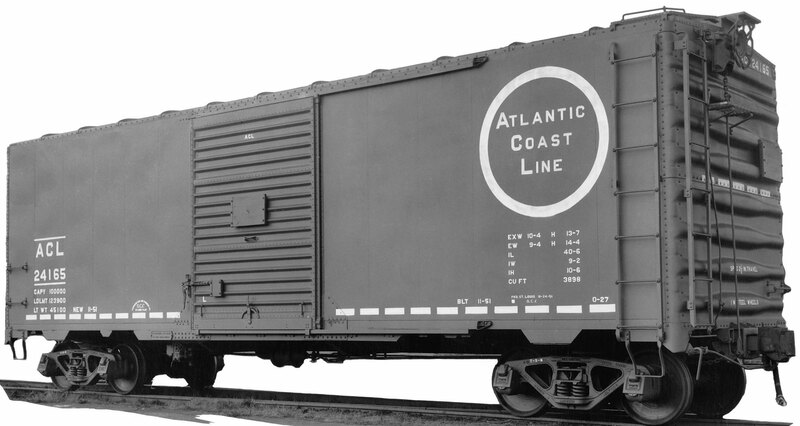 Interior length was 40'4" with a lumber door on the B end. The kit features a one piece body, vacuum cast in grey polyurethane resin and a separate resin floor and other details. The kit will also include laser cut running boards, Tichy brake components and photo-etched stirrups and other details. Black Cat Publishing has created decals for this car and will be included. Upon request a supplementary decal sheet for pre-war lettering can be had, please note preference when ordering. 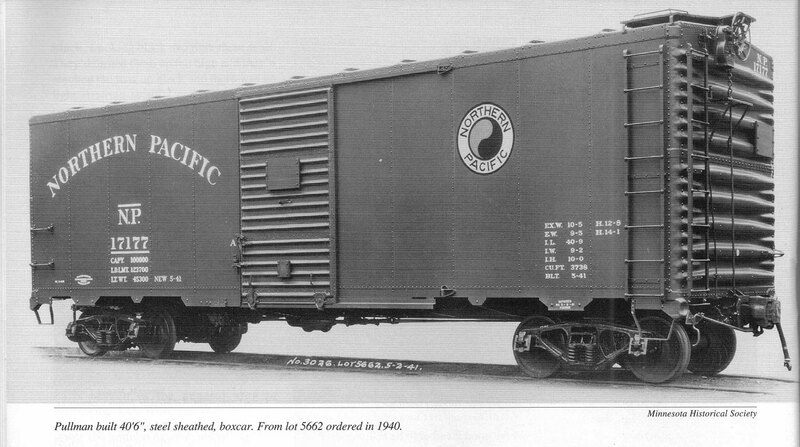 In 1943, Canada Car & Foundry built 500 cars for the CPR. These were a plywood sheathed car based upon the iconic 1937 AAR design. The use of plywood on the exterior retained the standard interior width. as well as reducing the weight by over 2,000 lbs. The fastening of the plywood to the steel braces resulted in a distinctive double row pattern of rivets. The kit features a one piece body, vacuum cast in grey polyurethane resin and a separate resin floor and other details. 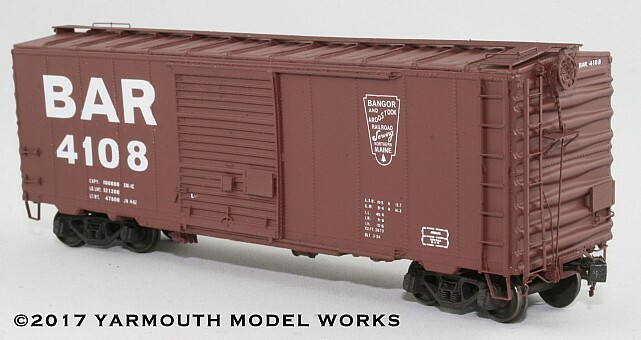 The kit will also include laser cut running boards, Tahoe Model Works trucks, Tichy brake components and photo-etched ladder stiles, stirrups and other details. Black Cat Publishing has created decals for this car and will be included. 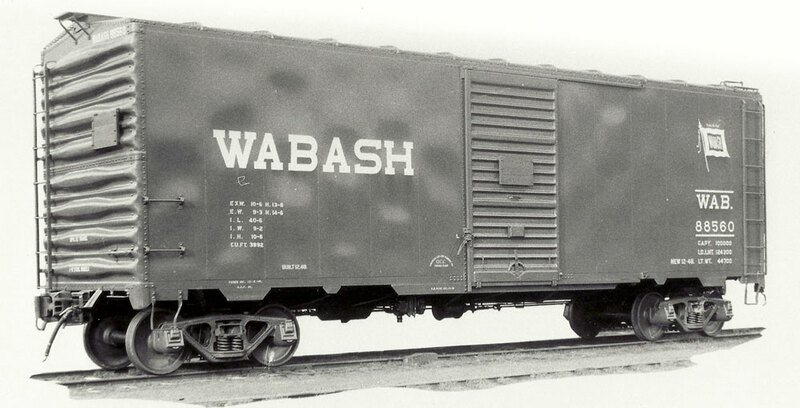 Originally built by ACF in 1925 as auto cars, number series 40000 – 40999, the Wabash rebuilt 400 cars in 1933-1934 into single deck stock cars. 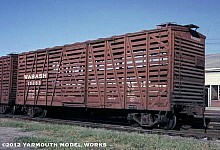 An additional 200 cars were converted to double deck stock cars in 1933. 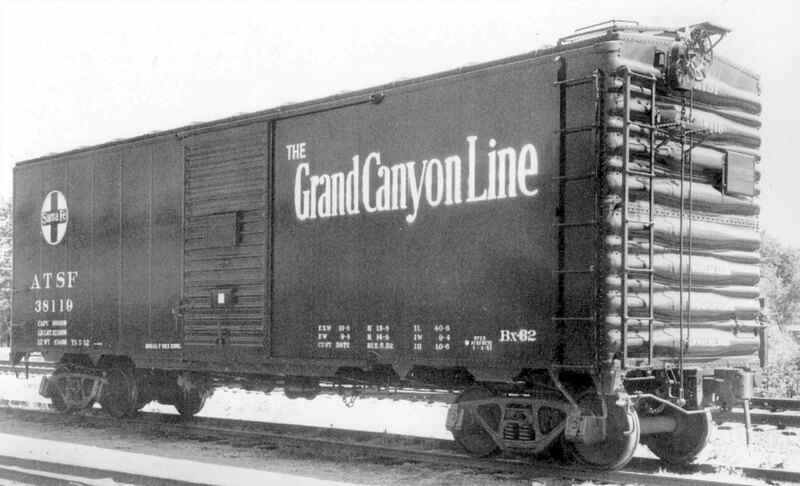 The single deck cars became 15000 – 15399 and the double deck cars became 16400 – 16599. 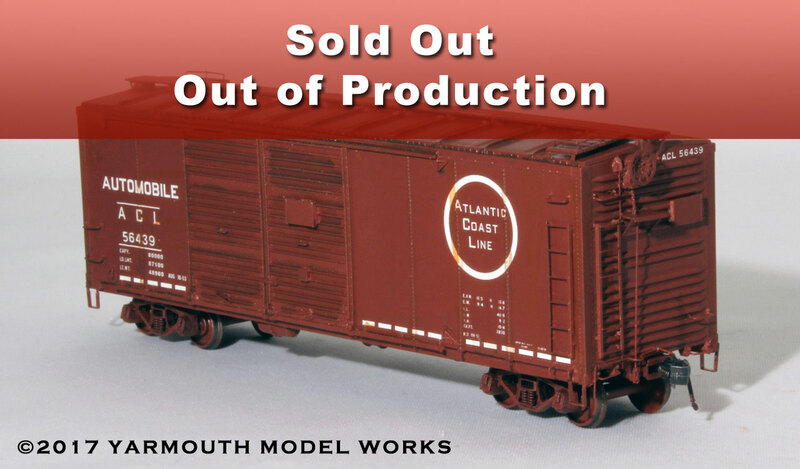 The kit features major components vacuum cast gray urethane resin. The Z-bracing is rendered with full undercuts and the slats are to scale. The running board is laser cut plywood. Tichy brake components are included along with photo-etched detail parts. Specific decals have been created for this model. 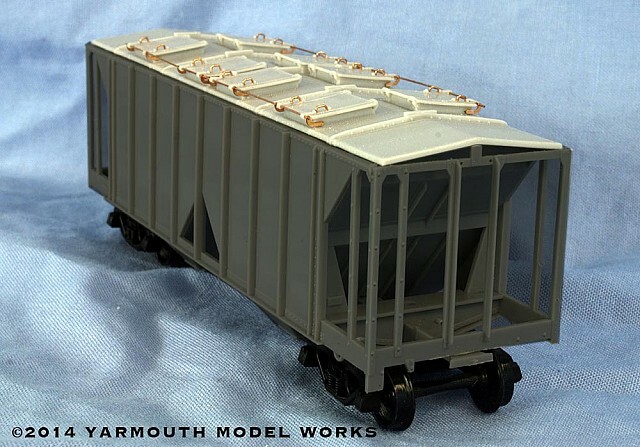 The kit also includes a set of Tahoe Model Works truck frames. The trucks were selected as being the closest to the prototype available.